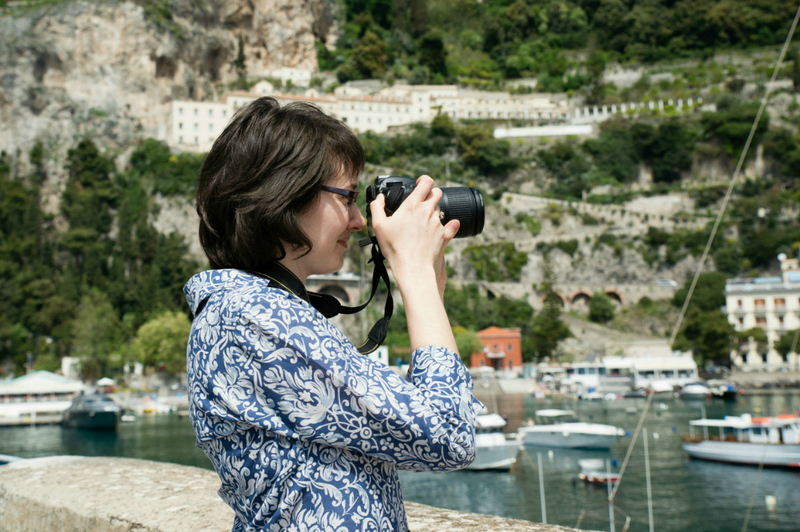 Italy Magazine Blogger Awards | Ciao Amalfi Nominated as Best Travel Blog! What a joy to find out that Ciao Amalfi has been shortlisted as the Best Travel Blog in the popular Italy Magazine Blogger Awards. Thank you to everyone who nominated Ciao Amalfi! Now the voting is open for the shortlisted blogs to see who will win. It would be a tremendous honor to win this award as my greatest passion is sharing my love of the Amalfi Coast. If would mean so much if you could take just a moment to vote for Ciao Amalfi! It’s super simple to vote. Simply click on the image above or CLICK HERE and then vote for Ciao Amalfi – no registering or hassle! Voting is open until February 27th. The winners will be announced on March 3rd, and I’ll be sure to let you know. Thank you so much for your support and for following Ciao Amalfi! The post that comes to mind immediately is the one that pulls my heart the strongest. If you didn’t catch it last week, I invite you to read about my experiences Finding Home on the Amalfi Coast. 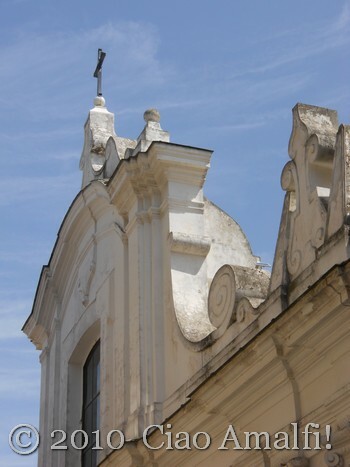 I don’t keep stats for very long on Ciao Amalfi, but lately the post that’s been getting the most hits has been an oldie on one of my favorite churches in Campania, the Church of Santo Stefano on Capri. I don’t think I actually do controversial, so this is a tough one! I do believe one of the only times I’ve expressed a negative opinion on Ciao Amalfi was back in the spring of 2009 about the New Ticket Booths in Amalfi. For the record, I still don’t like them. 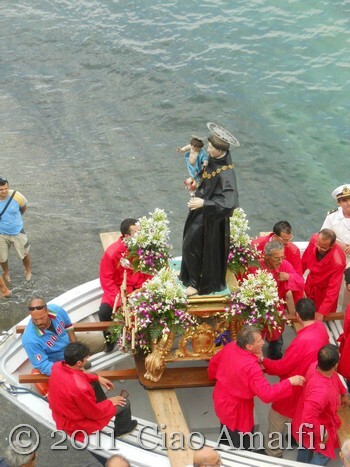 Not long ago I wrote about the Summer Religious Festivals on the Amalfi Coast, which is the first in a serious of posts I have planned about religious festivals, sagre and events on the Amalfi Coast. Stay tuned! I didn’t have a clue about the story behind it or the widespread popularity when I wrote about the Love Locks in Salerno back in 2009. I love learning new tidbits about Italian culture! I can’t get enough of how fabulous it is to finally have transportation here with my new motorino … and recently I took a ride On the Scooter Around Scala. Last year I mused about time passing and those little things that you hold on to along the way in my post Every Sunday Evening. I was honoured to win the Blogging from the Boot contest in 2010 for the Buon Viaggio category for this post! And now comes the fun part of nominating some of my friends around the blogosphere to take part in the 7 Links Project. Head over and say “ciao” to these lovely ladies! Tonight is the Twitter #italychat on Amalfi Coast Travel! 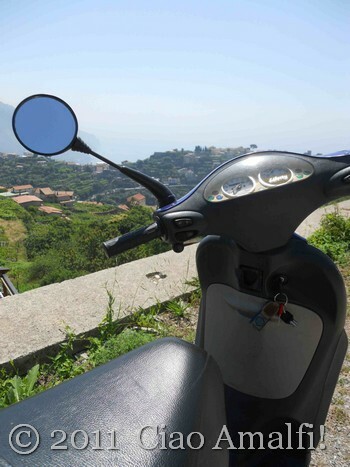 Are you planning a vacation to the Amalfi Coast? Do you have a few questions … about where to stay, what to see and how to move about? Should you stay in Positano or Amalfi or Ravello? When is the best time of year to visit the Amalfi Coast? If you’re on Twitter, please join in the #italychat on Amalfi Coast Travel hosted by Kathy McCabe from Dream of Italy. This will be a fun chance for you to ask your Amalfi Coast travel questions and share you own personal travel advice and experiences. Kathy (@dreamofitaly) will be hosting this event, and she has very kindly asked me (@ciaoamalfi) to be the special guest on the Amalfi Coast. Thanks, Kathy! For more information on how to join in, ask your questions and share your travel advice, visit the Dream of Italy Travel News Blog here. Chat with you on Twitter tonight! This month marks the two year anniversary of Ciao Amalfi. I’ve been looking back over the past two years and thinking about how this blog has been such an important part of my life here in Italy. 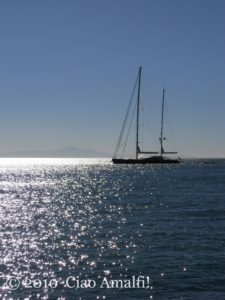 It’s been with me through many of the challenges and joys of learning to live on the Amalfi Coast. By nature I tend to be a forward thinking person, but I know it’s also important to make time for reflecting on who we are and how our stories lead us along on this journey through life. Which chapters were important and which ones will we flip through hastily? Who are the characters we’ll never forget, what are the moments that changed us forever? These thoughts were running through my mind when I saw Michelle’s 2010 Year End meme on Bleeding Espresso, and then again with Annika’s at dove mi porta il cuore. I’ve never done a meme before, but this one seems like the perfect way to start of 2011. So here goes my First Annual Year End Meme! 2. Did you keep your new year’s resolutions, and will you make more for next year? I don’t usually make New Year’s resolutions, at least not in any concrete terms. I did achieve some of the goals I set out for myself with my freelance writing … and some I didn’t even know I had until I ran right smack into them. I’m working on my goals for 2011 now! 3. Did anyone close to you give birth? One of my dearest friends gave birth to a beautiful son, and I can’t wait to meet him in Minnesota this spring! 4. Did anyone close to you die? Very gratefully, I can say no. 5. What countries did you visit? I visited Paris, France last January and Nebraska, USA from February-March. 6. What would you like to have in 2011 that you lacked in 2010? A complete first draft of the novel I’m writing with my mother. 7. What dates from 2010 will remain etched upon your memory, and why? Apparently, I’m not very good at remembering dates. Must pay closer attention! 8. What was your biggest achievement of the year? Becoming more organized and productive with my freelance writing career, and finding enough regular writing projects to cover my minimum living expenses. Onward and upward, baby! 9. What was your biggest failure? Not working hard enough to improve my spoken Italian. Sigh. 10. Did you suffer illness or injury? Worst cold of my life just before I left Nebraska in March. Discovered that the reason I was short of breath, had heart palpitations and an annoyingly long low grade fever was caused by inflammation in my bronchial tubes. (Likely due to aforementioned worst cold of my life…) A strange infection in my left thumb came back again in September, exactly one year after it happened for the first time. If you know me, then you already know that only rather bizarre things happen to me. This one is still causing me pain and is still a mystery. I know, too much information. But the meme asked me. 11. What was the best thing you bought? I don’t have much extra income to spend now, but the best thing I bought was a stack of books to plan my second trip to Paris coming up soon! 12. Whose behavior merited celebration? 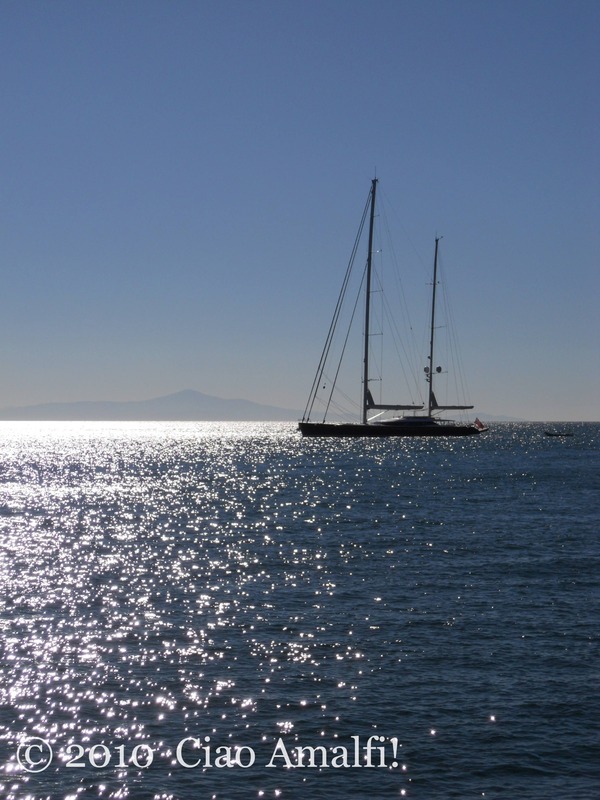 My mother … who worked extra hard and arranged to spend five wonderful weeks on the Amalfi Coast this past autumn! 14. Where did most of your money go? Paying my student loans. 15. What did you get really, really, really excited about? 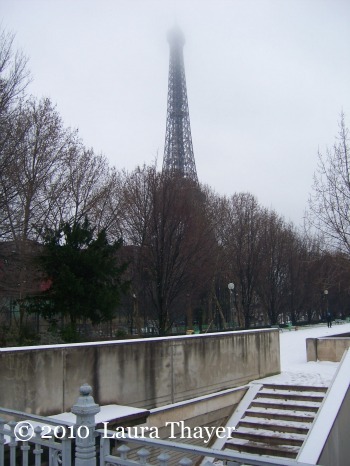 Going to Paris last January with my boyfriend! 16. What song will always remind you of 2010? “Pick Yourself Up” from the movie Swingtime with Fred Astaire and Ginger Rogers. It always makes me smile, even during the moments when I don’t think it’s possible. 17. Compared to this time last year, are you: (a) happier or sadder? (b) thinner or fatter? (c) richer or poorer? (a) Happier, most of the time. (b) Either thinner or the same. (c) When you make as little money as I do, what’s the difference? 18. What do you wish you’d done more of? Relax. 20. How did you spend Christmas? A quiet and lovely Christmas with my boyfriend’s family here in Italy. 21. Did you fall in love in 2010? With my boyfriend … again and again! 23. Do you hate anyone now that you didn’t hate this time last year? I don’t think I know hate. Disappointment, yes, but not hate. 24. What was the best book you read? A Thousand Days in Tuscany by Marlena de Blasi. (Thanks, Mom!) Her writing is always an inspiration! 25. What was your greatest musical discovery? Toquinho! I’ve enjoyed the music of Vinicius de Moraes for years, but never fully appreciated the talents of Toquinho, one of his collaborators and close friends. This summer I was fortunate to see him perform a concert in honor of Vinicius at the Ravello Festival. 27. What did you want and not get? A car with an automatic transmission. 29. What did you do on your birthday, and how old were you? I celebrated my 30th birthday by hiking to the Torre dello Ziro and having a picnic overlooking Amalfi and Atrani, and then having a quiet dinner by the sea in Marina di Praia. 30. What one thing would have made your year immeasurably more satisfying? Security. 31. How would you describe your personal fashion concept in 2010? Dealing with what I have until my budget affords more shopping. 32. What kept you sane? My love, my mother and a ridiculous amount of walking. 33. Which celebrity/public figure did you fancy the most? I’m really pleased with the career success of Colin Firth and look forward to seeing The King’s Speech. 35. Who did you miss? My family and my good friends in Minnesota and around the United States. 36. Who was the best new person you met? My dear friend Chiara Lima from the Mamma Agata Cooking School on the Amalfi Coast. My heart is happy knowing I’ve found a lifelong friend! 37. Tell us a valuable life lesson you learned in 2010. There is never an end to patience. 38. Quote a song lyric that sums up your year. “Nothing’s impossible I have found, for when my chin is on the ground, I pick myself up, dust myself off, start all over again. Don’t loose your confidence if you slip. Be grateful for a pleasant trip, and pick yourself up, dust yourself off, start all over again.” – Ginger Rogers in Swingtime. I’ll add the same note as Michelle at Bleeding Espresso … Please feel free to create your own end of year meme and post the link in the comments!